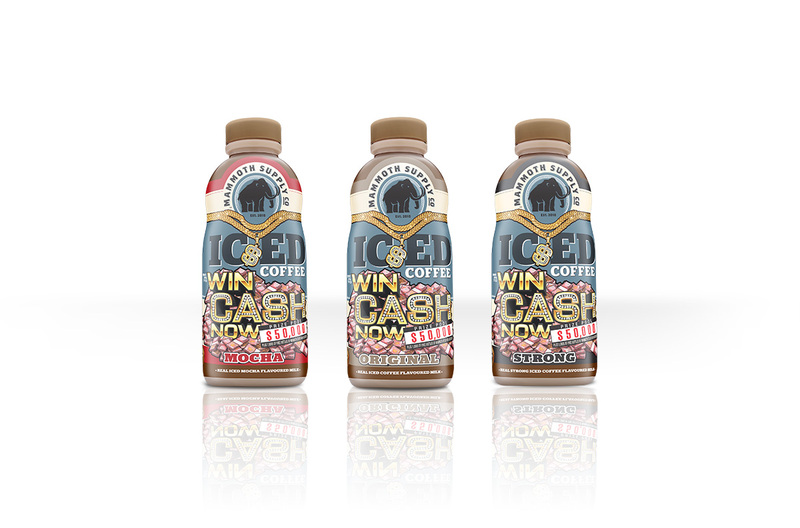 In mid 2014, Primo and Mammoth appointed BTL to design a summer promotion that employed on-pack graphics and also a range of Point of Sale (POS) items that could run in Supermarkets, Dairys (Route) and Service Stations (Oils). The target market was primarily 15-30 year old males. The design of the concepts was undertaken by the Creative Director and myself as Senior Designer, in which I took a lead role in conceptualising and designing the graphical look and feel for how the promo might be represented not only on pack, but also instore graphics. As it was decided the promo would be a cash giveaway, and as the target was young males, I used ideas that parodied a culture recognisable to the target demographic – Gangsta. 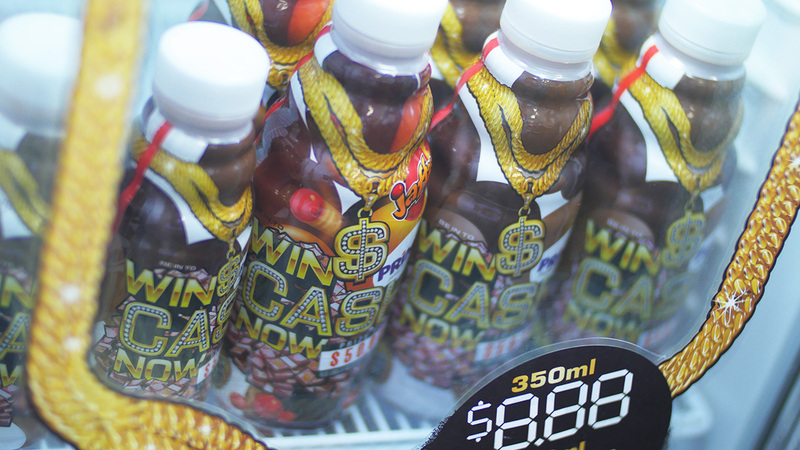 The intent was to use humour – the bottle itself was itself a wannabe gangsta. 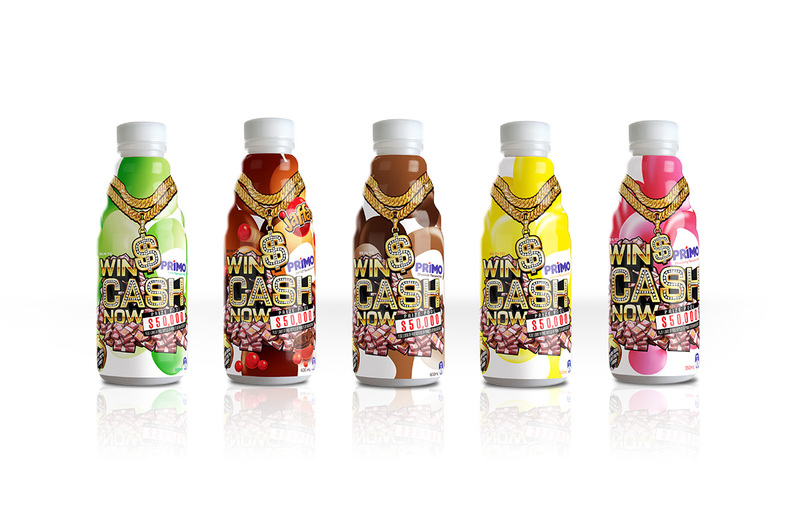 The task involved resolving challenges with the on-pack restrictions (including adapting existing colours to allow for the full colour range we needed, the use of special inks for masking out key promotional areas and a design that would accommodate distortions as the wrap was heat moulded to the bottle), yet working collaboratively with packaging printers, the eventual result was successful. The promotion ran over the summer of 2014-2015, and had a good uptake in market. 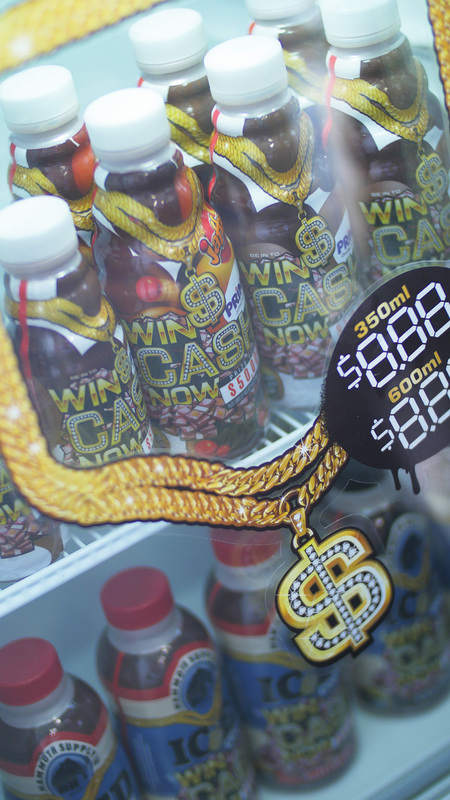 Point of sale included: Posters, wobblers, fridge headers, floor stickers, 2 types of fridge stickers the larger designed as a medallion chain frame with a Digi8 for instore pricing, image tickets, supermarket trolley handle inserts, promo team apparel (TShirts), Facebook & website graphics, instore video titles, and winners vouchers.